I’ve been hitting the gym again after taking a break for my marathon training. After a successful completion of the 42km run, I’ve returned to the world of barbells and plates. Not surprisingly, my lifts have decreased a bit so I’m on the climb up to my previous working weights. 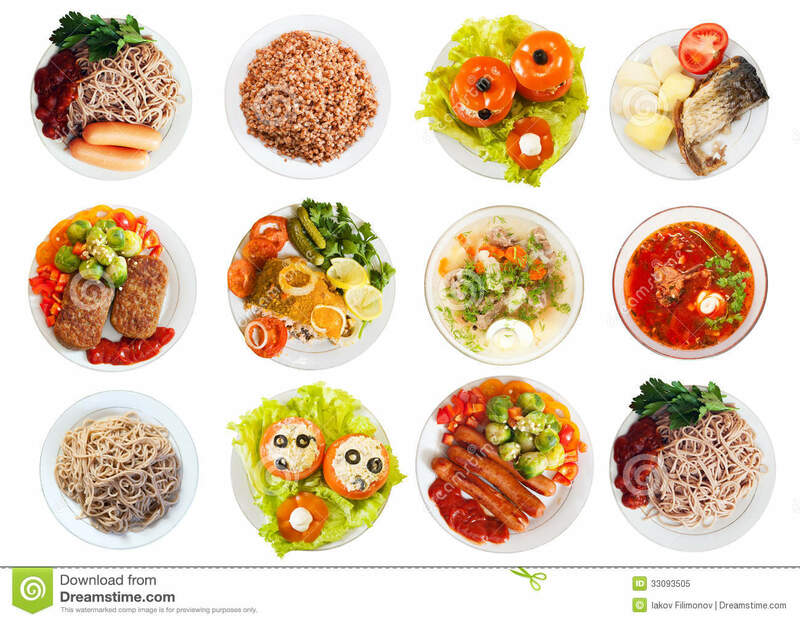 Currently, I’m 20-or-so pounds away from getting back on track. I’ve been adding more volume and focusing on my form in the meantime. I’ve also been working on my tumbling. 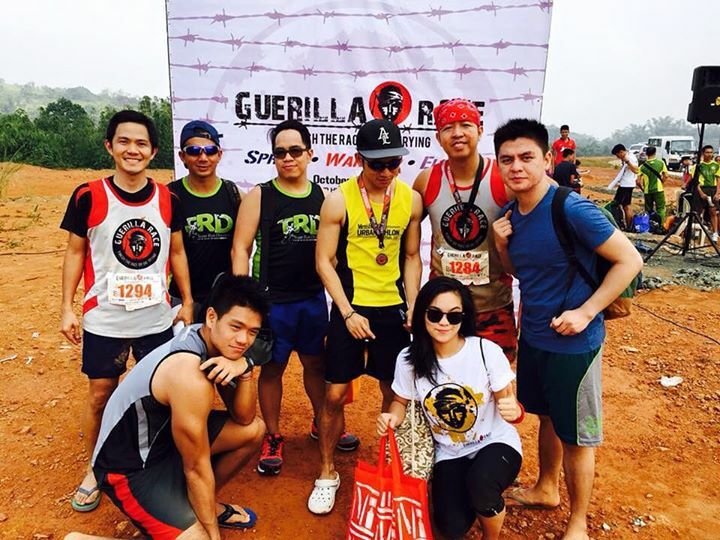 One of the better decisions I’ve made is signing up for the Guerilla Race 2015. 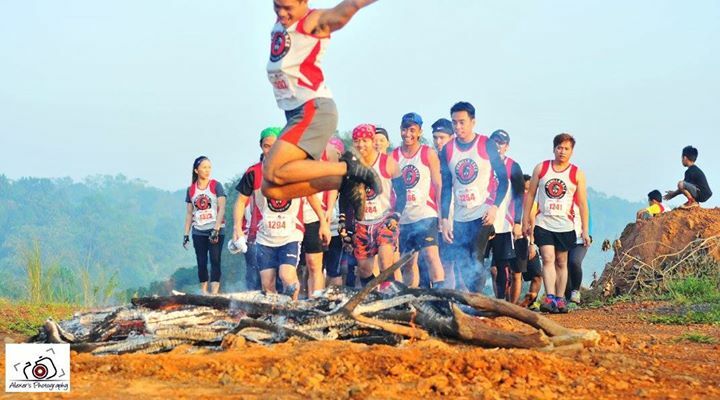 For the uninitiated, the Guerilla Race is a bi-annual trail run + obstacle course which gives runners a different experience from the standard running on pavement and roads. I also got a discount because my team and my friend were media partners, so that’s double-cool! Plus, the event was held at Timberland, where I’ve already biked a lot of times before. At first I was pretty nervous and sure that I was going to be doing a hell of a lot of burpees (the punishment if you are unable to complete an obstacle). But when the gun fired and we were off, I was surprised at the fun that I was having. Every obstacle had its own share of challenges but I was able to get through all of them. I don’t know if it was skill or my fear of burpees, but I did my best to finish each obstacle quickly. 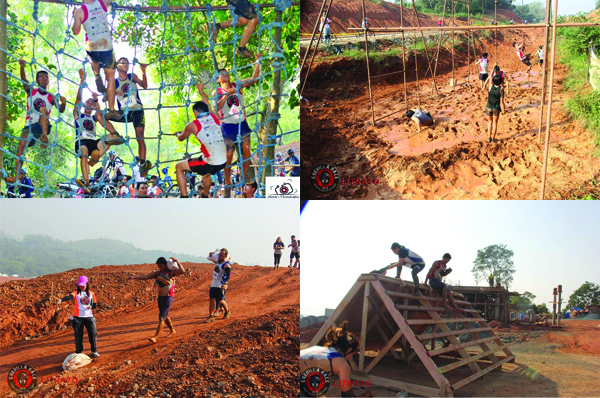 My favorite obstacles were the net climb and rope climb. It was fun to work out my arms while my legs were doing the running along the trail. Plus I got to appreciate the vastness of Timberland’s bike trails. What a beautiful place. I finished my first trail + obstacle course run in about 3 hours. Tired and hungry, but with a big smile on my face. During the race, I was pleasantly surprised to find the I enjoyed trail running. While the uphills were grueling, running down the trail, jumping over roots and creeks, and having your face smacked by the flora was exhilarating. Because of this, I’m already looking forward to the next Guerilla race which, unfortunately, is going to take place on April 2016. So, not any time soon. Another interest that’ll separate me from my money? Yes. Does it make me happy? Yes. Is it better than spending money on drugs? Hell yes.